shown playing a mirrored version of game, as a challenge. Sudoku, puzzles were all the rage, uh huh. I used to play that number puzzle all the time. I was addicted to Sudoku. The Diversions section, of The London Times, ran a special Sudoku each week. I could not miss it. The life of a Sudoku addict has many pitfalls. I was so addicted to Sudoku. I made a terrible mistake. I had arranged a personal audience with the Dalai Lama. I stood him up. I kept him waiting while I scanned my newest puzzle for just those few more minutes that would yield the flash of insight needed to find the solution. Yes, I sought that brief shot of dopamine, adrenaline or whatever it is one gets from the completion of the task. It wears off too quickly, of course. Then I would need another Sudoku puzzle to solve. I know the urge to complete Sudoku puzzles does not quite rank up there with alcohol, drugs, gambling or philandering as serious addictions. Still, working on your Sudoku is pretty much the antithesis of the “living in the moment” maxim that many philosophers, including the Dalai Lama agree on. Commit yourself fully to experience the people with whom and the circumstances in which you find yourself right now, they say. While they don’t come right out and say so, I assume they mean that it’s not a good idea to have your Sudoku puzzle on hand in case the conversation at the dinner table flags somewhat. Then, just as I was about to check in to the Betty Ford clinic to cope with my addiction, along came the “brain training” wave. It’s an intriguing proposition that your brain, is like any other part of your body, needs to be kept active. All of a sudden, by doing Sudoku, I was taking my brain to the gym, not indulging in addictive and inconsiderate behaviour. Working your brain, as if a muscle, helps your ability to think. I should just do Sudoku all day long, right. Well, no. First, I have to concede they slipped healthy eating and exercise in there. Second, there is apparently a difference between brain training and brain gaming: gaming is just one sort of training and you must train appropriately to the function you are trying to strengthen. 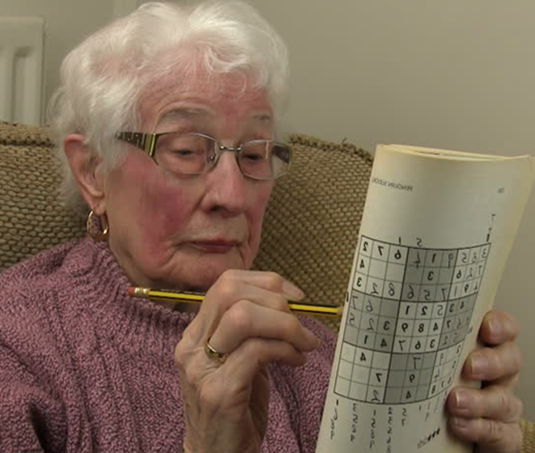 According to an article in the Huffington Post, by Sandra Bond Chapman, a cognitive neuroscientist and director of the Center for Brain Health at the University of Texas at Dallas, there is not enough scientific evidence to confirm playing brain games, such as Sudoku, helps train the brain in its cognitive functioning. All it does, hopefully, is help you become a better Sudoku player. This, too, is good. Taking an afternoon meditation break a “nap” as some used to call it, may actually preserve my cognitive functioning better than doing Sudoku or even checking my e-mail. I wish I’d known, years ago, how that worked. Would anyone else like to step up and confess? Has anyone else kept the Dalai Lama waiting on the completion of a Sudoku puzzle? How did you handle that experience?